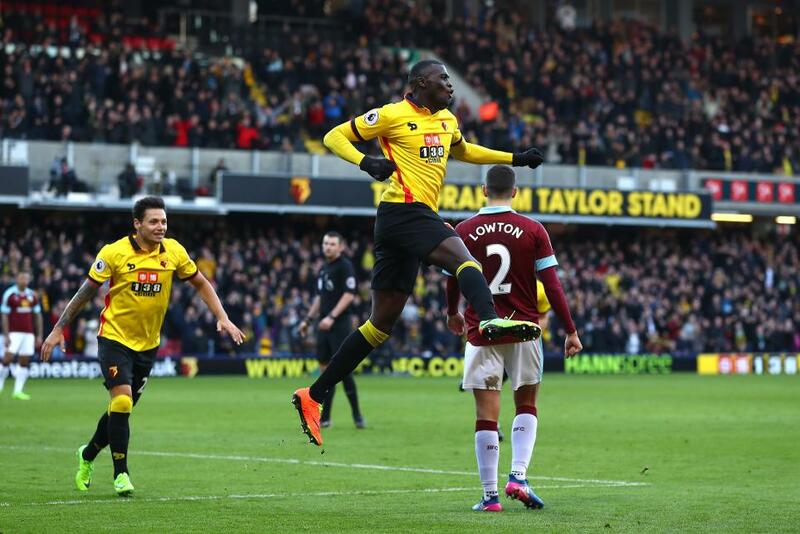 M'Baye Niang inspired Watford to a 2-1 victory over 10-man Burnley on his home Premier League debut. The forward signed on loan from Milan last week assisted Troy Deeney's third goal in as many matches as Watford took an early lead. The goal came after Jeff Hendrick was sent off for a foul on Jose Holebas. Burnley's task got tougher when Niang headed in his first Premier League goal before half-time. Robbie Brady came on for his first Burnley appearance and they pulled one back through Ashley Barnes' penalty after Joey Barton's shot had been handballed by Sebastian Prodl. Watford are unbeaten in four and move to 10th, with Burnley a point behind in 12th.